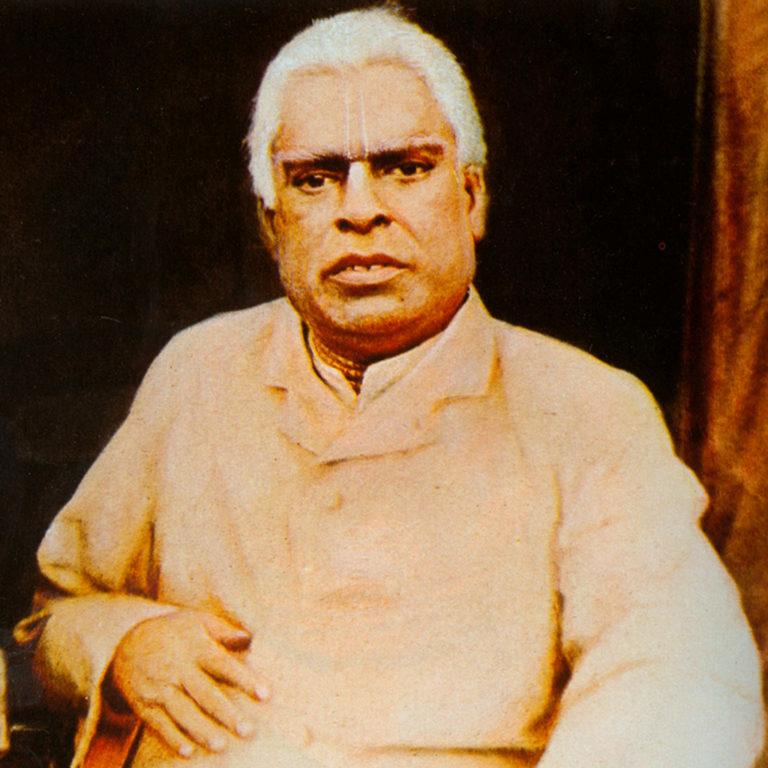 Bhaktivinoda Thakur (2 September 1838 – 23 June 1914), born Kedarnath Datta was a leading philosopher and spiritual reformer of Gaudiya Vaishnavism who almost single-handedly effected its resurgence in India in the late 19th and early 20th century and was hailed by contemporary scholars as the most influential Gaudiya Vaisnava leader of his time. Along with his son Bhaktisiddhanta Sarasvati, he pioneered the propagation of Gaudiya Vaisnavism in the West and its eventual global spread. At eighteen, Kedarnath commenced a teaching career in rural areas of Bengal and Orissa and in 1866 became an employee with the British government in the Judicial Service, from which he retired in 1894 as a District Magistrate. In his youth Kedarnath spent considerable time researching and comparing various religious and philosophical systems, both Indian and Western. 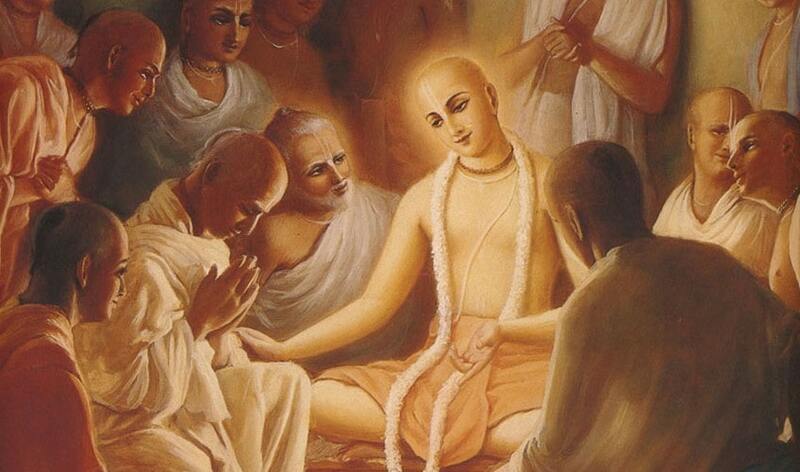 His spiritual quest led him at the age of twenty nine to becoming a follower of Chaitanya Mahaprabhu (1486–1533). He engaged in deep study and committed practice of Chaitanya’s teachings, soon emerging as a reputed leader within the Chaitanya Vaishnava movement in Bengal. Bhaktivinoda edited and published over one hundred books on Vaishnavism, including major theological treatises as Krishna-samhita (1880), Chaitanya-sikshamrita (1886) Jaiva-dharma (1893), and Hari-nama-cintamani (1900). Between 1886 and 1910, he also published a monthly journal in Bengali entitled Sajjana-toshani (“The source of pleasure for devotees”). In 1886, in recognition of his prolific theological, philosophical and literary contributions, the local Gaudiya Vaishnava community conferred upon Kedarnath Datta the honorific title Bhaktivinoda (“the pastime or pleasure of bhakti or devotional service”). In his later years Bhaktivinoda founded and conducted nama-hatta – a traveling preaching program that spread the teachings of Lord Chaitanya throughout rural and urban Bengal, by means of discourses, printed materials and Bengali songs he had written. Bhaktivinoda opposed numerous distortions of Lord Chaitanya’s original teachings and authoritatively established the true teachings. He also re-discovered the lost site of Chaitanya’s birth in Mayapur near Navadvip, which he commemorated with a prominent temple. 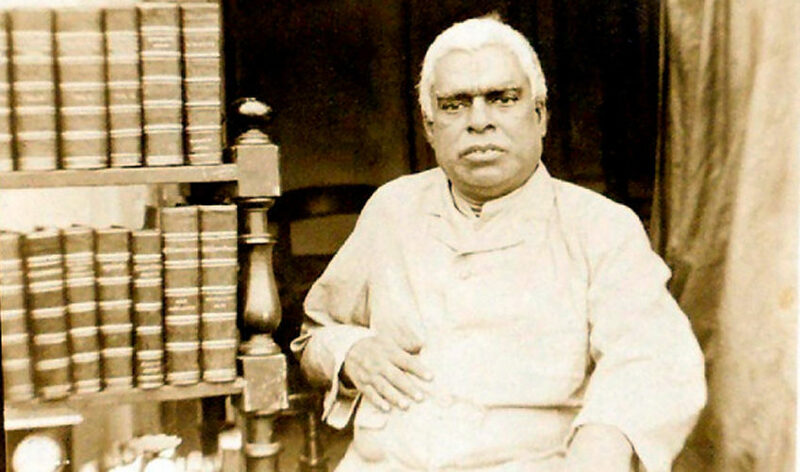 Bhaktivinoda Thakur pioneered the spread of Chaitanya’s teachings in the West, sending in 1880 copies of his works to Ralph Waldo Emerson in the United States and to Reinhold Rost in Europe. In 1896 another publication of Bhaktivinoda, a book in English entitled Chaitanya Mahaprabhu, His life and Precepts was sent to several academics and libraries in Canada, Britain and Australia. The revival of Gaudiya Vaisnavism effected by Bhaktivinoda spawned one of India’s most dynamic preaching missions of the early 20th century headed by his son and spiritual heir, Bhaktisiddhanta Sarasvati. 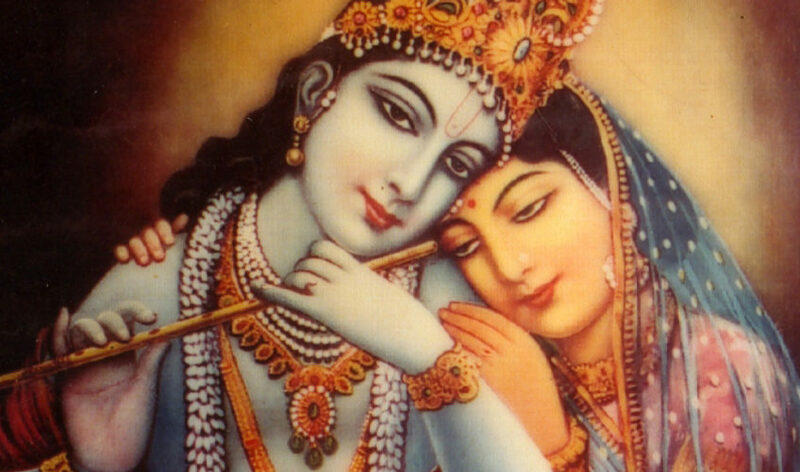 Of Bhaktisiddhanta’s many disciples who carried on his mission, A.C. Bhaktivedanta Swami (1896–1977) is known throughout the world for introducing Gaudiya Vaisnavism to the West and subsequently around the globe. Bhaktivinoda Thakura left this world in Calcutta on 23 June 1914 at age 75.